February 3, 2017, Open House for the exhibition “The Life and Times of Congressman Robert Smalls” presented by The Robert Smalls Collections, LLC, Helen Boulware Moore, Curator, at the North Sarasota Library, time to be announced. Note: Manasota ASALH is a co-sponsor of this event. This remarkable exhibition will be housed in the North Sarasota Library for the entire month of February. THE NEWTOWN HISTORIC PROJECT – CELEBRATING NEWTOWN / SAVE THESE DATES! (Places & Times TBA) Friday, February 23, 2017 – Reception; Saturday, February 24, 2017 – Visiting each of the Historic Markers; Sunday, February 25, 2017, Ecumenical Service. Ms. Vickie Oldham, Historian. Manasota ASALH celebrated Black History Month with five exciting and informative events! On February 3, 2016 at 1 PM at the North Sarasota Library, Manasota ASALH’s Member-at-Large, Mrs. Lois Lipscomb-Risacher is sponsoring an afternoon with the family of African-American photographer King Daniel Ganaway. Come meet the family and hear their fascinating story. On February 20, 2016 at 2 PM at the North Sarasota Library, the Carroll Buchanan Film Series, administrated by Robert Fitzgerald, will feature the film, “Rise,” Episode Five of the Six-Part Series, The African Americans: Many Rivers to Cross with Henry Louis Gates. On February 27, 2016 at 11:30 AM at the Sarasota Hyatt Regency, ASALH’s National President, Dr. Evelyn Brooks Higginbotham, will help Manasota ASALH to celebrate its 20th Anniversary. On Opening on January 28th and running through March 4th The Black Muse 2016 art exhibition at the Sarasota Art Center with fourteen wonderful artists! On On February 25th at 2 pm at Emma E. Booker Elementary School , the culminating event of an educational program with Manasota ASALH volunteers based on a comprehensive workbook on the Underground Railroad published by the National Park Service. All fourth graders in the school will participate in this program. In addition, Manasota ASALH’s partner organization, The North Sarasota Library Cultural Resource Center, featured several members of Manasota ASALH at a Black History Book Expo on February 4, 2016; art owned by Manasota ASALH Members, Drs. Carol Sheffield and James Stewart (former ASALH National President) was featured at the Arts and Cultural Alliance of Sarasota County the entire month of February in an exhibition entitled Celebrating African American Life and History; and Manasota ASALH’s partner organization, the West Coast Black Theatre Troupe sponsored an exhibition and panel with Florida’s renowned Florida Highwaymen Artists on February 8, 2016 and, on February 14, 2016 sponsored a panel discussing the work of playwright August Wilson. Since then, every American president has designated February as Black History Month and endorsed a specific theme. 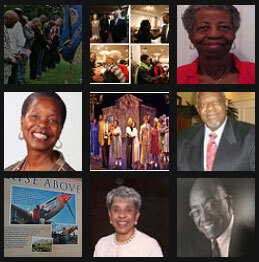 The 2013 theme, At the Crossroads of Freedom and Equality: The Emancipation Proclamation and the March on Washington, marked the 150th and 50th anniversaries of two pivotal events in African-American history. Thanks to Robert Fitzgerald, Director of our Manasota ASALH film series, for the links to the articles below.